Home Apps & Software How to download and install Skype safely? Skype is telecommunication software that is developed to provide voice calls and video chats between tablets, computers, Xbox One console, mobile devices, and Smartwatches through the regular telephone and internet. The program also offers immediate messaging services. The user can convey both video and text messages can also exchange digital data like images, video, and test. This Skype program also allows you to have video conference calls. You can download and install Skype for free and it is available and tested virus. Now, you can download the Skype fast and get a connection in just a few minutes. Also, the web pages on skype.com are consistently improved so you may find changes from time to time. The web pages keep changing whenever there is an update so don’ be surprised to see different kinds of Web pages, which do not match precisely. To download the Skype into your computer, first, select the latest version of Skype, open the browser and enter skype.com to open the Skype Home Page. 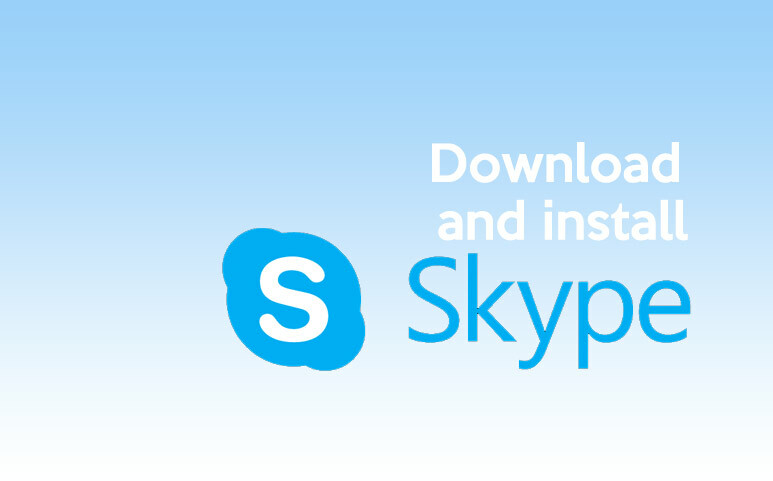 Now, on the home page, press the download button to download the Skype. Once the Skype download into your computer, it will decide the OS and web browser automatically. After the downloading program is done, on the screen, you will get instructions for what you have to do next. In case, the download does not start automatically, then you have to start it manually just by pressing the Start Download option. After pressing the download button, the program will ask you to open or save the SkypeSetup.exe. You must always select to save the file to your hard-drive. Remember, you should not run or open the program while it is downloading the Skype. You might have observed that the Skype posts two kids of downloads sometimes, the first one is the regular public version and the other one is the latest beta version. If you haven’t started the download, then it is suggestible to download the general public version because it is considered as more stable. Eventually, the beta version will soon become the public version, and it allows you to upgrade. Save it at an easy-to-remember location like Windows Desktop, and press OK, you should remember where you have saved the program so that you can double-click the program file once it is saved. Choose the Skype Setup Program option and double-click the program, or if you have ‘Run’ option, then press that option. If UAC (User Account Control) windows appear on the screen for your permission, then just press continues. When it launches the installer program, it will ask you to select the language, press the arrow button, and choose from the drop-down list. The program will ask you to accept the EULA (End User License Agreement). Accept it to continue the installation. The Skype program also asks you to install various other browser add-on or programs, but it is your choice if you want to install them or not. If you want to avoid, then press ‘Next’ button. Now, it will ask you to enter your name, a Skype Name/Password. In the next screen, it will ask you to enter your email address, city, and country. If the Skype Name that you have given already exists, then it will ask you to select another name. Once it accepts the new Skype Name, the process is completed, and the Skype is installed on your computer. Now, it is ready to use. Previous articleHow to download and install Avast safely? Next articleHow to download and install Spotify safely?